St. Helen was the mother of Constantine. She converted to Christianity and performed many acts of charity, including building churches in Rome and in the Holy Land. Legend has it that on a pilgrimage to the Holy Land, St. Helen discovered the True Cross. St. Helena was the mother of the Emperor Constantine. Near the Calvary in Jerusalem she found part of the True Cross. This precious relic was brought to Rome and for centuries was venerated in the Church of the Santa Croce in Gerusalemme of Rome that had been built by St. Helena. Since 1629 this relic is in St. Peter's, in a gold, cross-shaped case. 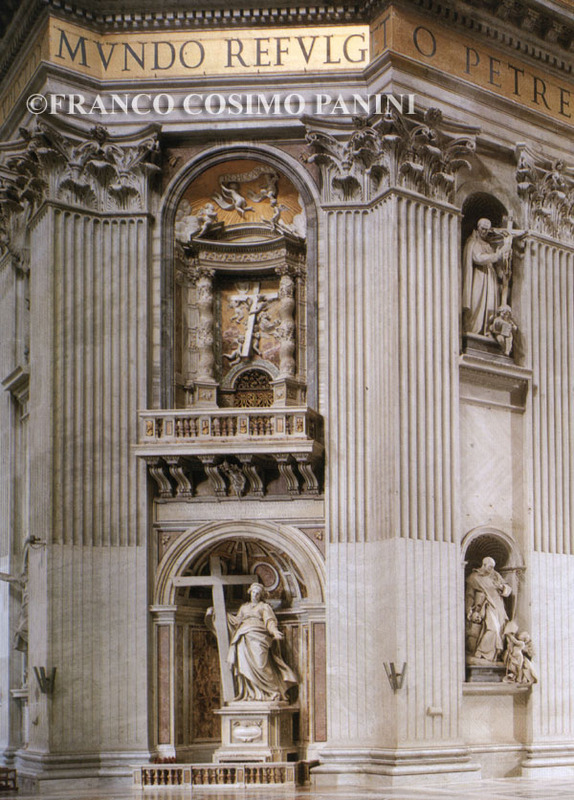 Fragments of the Holy Wood of Christ's Cross were preserved in St. Peter's up to the fifth century, in an oratory that was specially built by Pope Symmachus. They are the same ones which, though reduced as a result of subsequent dismantling, are displayed in the Basilica during the Holy Week. The statue of St. Helen, by Andrea Bolgi, is rather too static, despite the fact that the sculptor tried to make it more dynamic through the movement of the drapery -clearly inspired by Bernini, but lacking the typical vibrancy of the master. Started in 1629, when Bolgi was just twenty-three, the work is signed and dated on the base and on the edge of the garment: ANDREAS BOLGIUS CARRARIENSIS F. 1639 (Andrea Bolgi from Carrara made it in 1639). 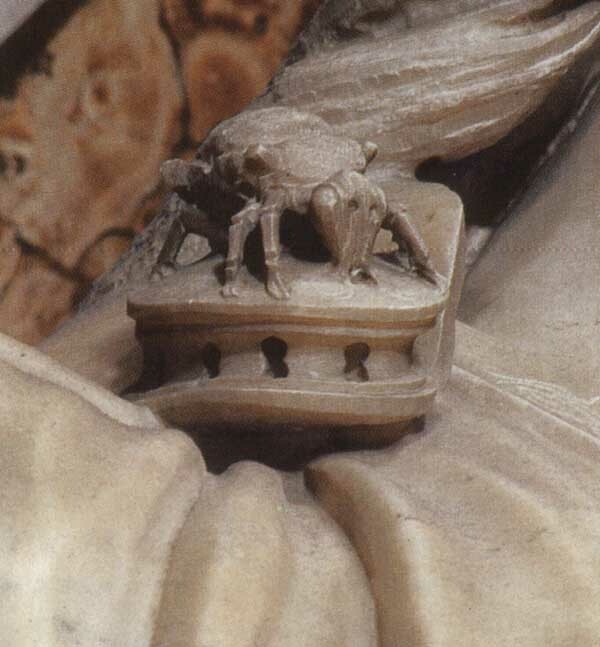 According to Urban VIII's will, on 12th March 1629 the relics of the wood of the Cross, found in Palestine by Helen, Emperor Constantine's mother, together with the nails of the crucifixion, were solemnly moved from the ciborium of the Holy Sudarium to the Veronica pier, and preserved in a rich silver and lapis lazuli cross-shaped case. Many fragments had been donated to churches, so Urban VIII reassembled the venerated relics with other fragments moved from the church of St Anastasia and from the Basilica of S. Croce in Gerusalemme. The legend is first attested in the funeral oration written by St. Ambrose, Bishop of Milan, for the Emperor Theodosius the Great. A slightly later account of the legend appears in the Church History of Rufinus, a monk and scholar born in Aquileia c.345, who composed this work around 402 after spending nearly twenty years on the Mount of Olives. "At about the same time, Helena, the mother of Constantine, a woman of outstanding faith and deep piety, and also of exceptional munificence, whose offspring indeed one would expect to be such a man as Constantine, was advised by divinely-sent visions to go to Jerusalem. There she was to make an inquiry among the inhabitants to find out the place where the sacred body of Christ had hung on the Cross. The spot was difficult to find, because the persecutors of old had set a statue of Venus over it, so that if any Christian wanted to worship Christ in that place, he seemed to be worshipping Venus. For this reason, the place was not much frequented and had all but been forgotten. But when, as we related above, the pious lady hastened to the spot pointed out to her by a heavenly sign, she tore down all that was profane and polluted there. Deep beneath the rubble she found three crosses lying in disorder. But the joy of finding this treasure was marred by the difficulty of distinguishing to whom each cross belonged. The board was there, it is true, on which Pilate had placed an inscription written in Greek, Latin and Hebrew characters. But not even this provided sufficient evidence to identify the Lord's Cross. In such an ambiguous case uncertainty requires divine proof. It happened that in that same city, a certain prominent lady of that place lay mortally ill with a serious disease. 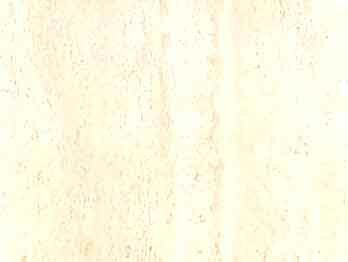 Macarius was at that time bishop of the Church there. When he saw the doubts of the queen and all present, he said: 'Bring all three crosses which have been found and God will now reveal to us which is the cross which bore Christ.'" Bishop Macarius says a prayer and the woman is miraculously cured when the 'wood of salvation' is brought near to her. 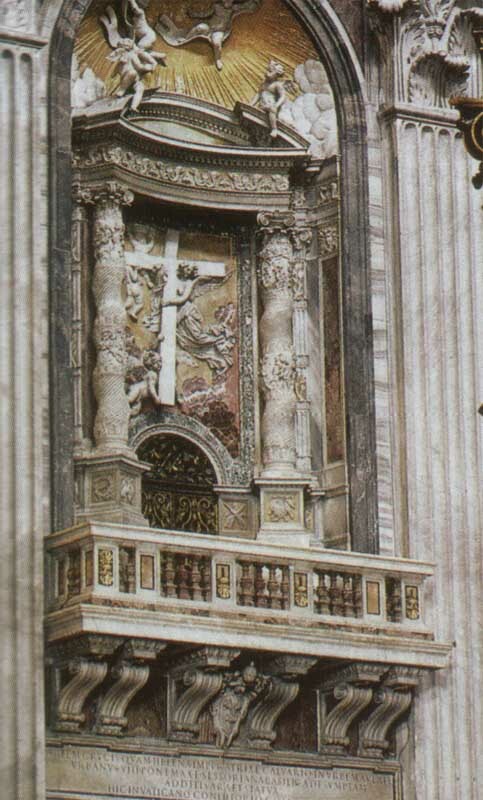 A portion of the True Cross is displayed at the church of Santa Croce in Gerusalemme in Rome. St. Helen's porphyry sarcophagus is in the Vatican Museum.